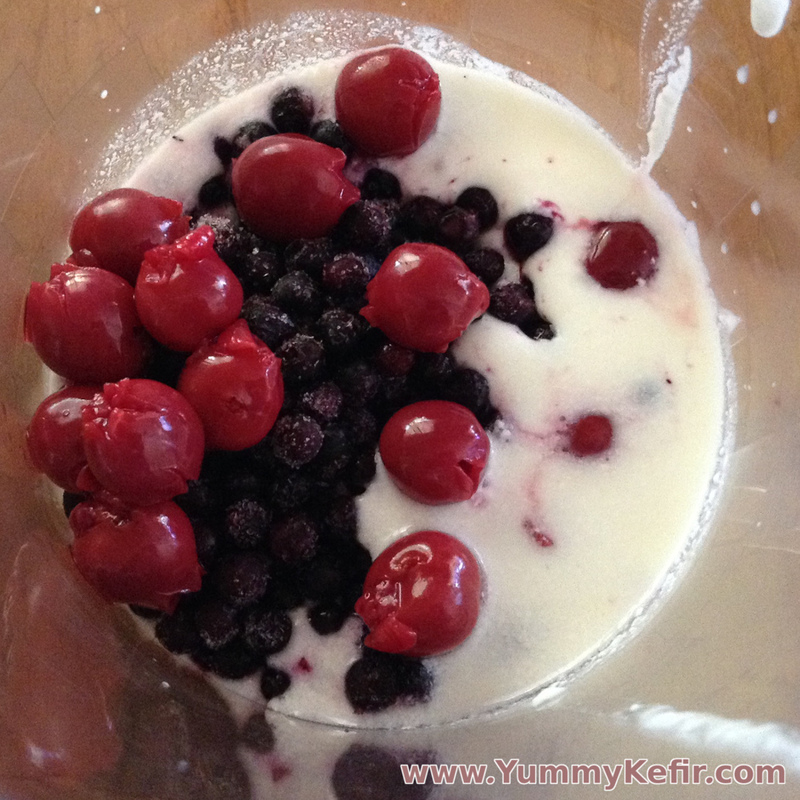 Cherries, blueberries and kefir make this pretty smoothie a treat for your eyes as well as your tummy. Pick up some beautiful blueberries and cherries at your local farmer’s market and treat yourself to this healthful smoothie when you get home. Blend all ingredients in a blender and serve or refrigerate for later.